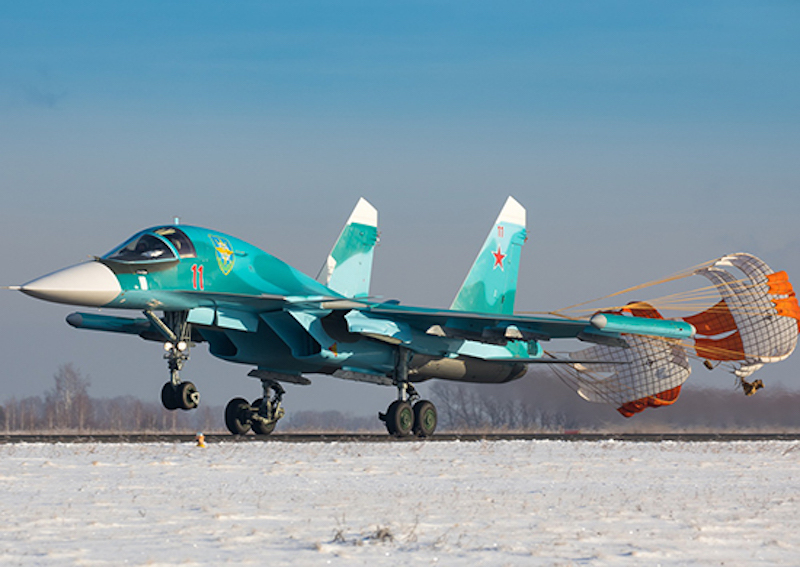 Two Su-34 fighter bombers were supplied under state defence order to an aviation regiment stationed in Chelyabinsk region of the Central Military District in January 2019. The aircraft were relocated to the Shagol airfield for permanent deployment. Their crews underwent training courses in the Lipetsk Training Centre, and prepared for technical operation of the new-type aircraft. Earlier it was reported that 16 Su-34 fighter bombers had been supplied to the Central Military District for the first time. Su-34 is designed for eliminating both ground and air targets in the daytime and at night under any weather conditions. The aircraft uses long-range air-to-surface and air-to-air guided weapons providing multi-channel application. Su-34 flight range - up to 4,000 km, maximum speed - up to 1,900 km / h, combat load - up to eight tons. The noise level from the Su-34 is two times less in comparison with the aircraft of earlier modifications.